Without consistent medical supervision, HIV patients remain infectious and often have dire health outcomes. But two University of North Carolina Arnold School of Public Health professors and an interdisciplinary team from the University of South Carolina have a plan to help turn the tide in the ongoing campaign to reduce HIV infections in South Carolina and make medical care more responsive for those diagnosed with HIV/AIDS. 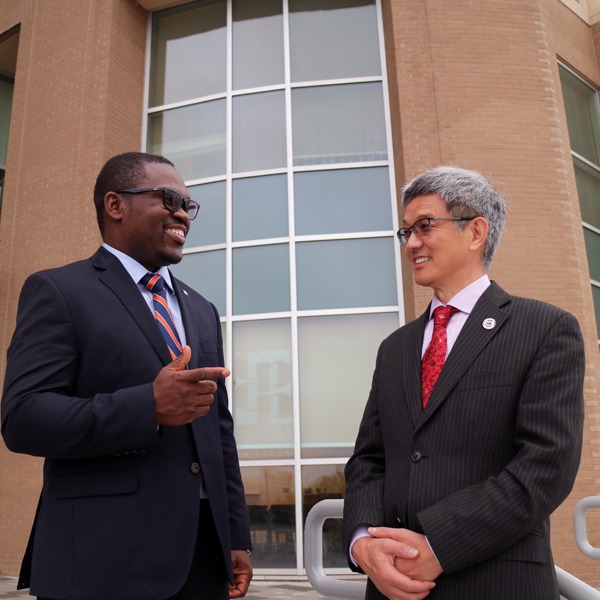 Dr. Xiaoming Li, a health promotion, education and behavior professor, and Dr. Bankole Olatosi, a clinical associate professor in health services policy and management, are co-principal investigators on a project that will use “big data science” and predictive analytics to better predict HIV medical care utilization and identify gaps in HIV medical treatment. The team will analyze health information data from Health Sciences South Carolina, Department of Health and Environmental Control (DHEC) and the S.C. Revenue and Fiscal Affairs Office. The project is part of a five-year, $3.1 million grant from the National Institutes of Health. November 2, 2017 "Columbia Aging Center Reports Religious Affiliation at the End of Life is Changing Globally; New Patterns Have Healthcare Implications" November 2, 2017 "UCLA Receives $5 Million Grant for Sharing Research on AIDS and Substance Abuse"